With the defeat of national health reform, many liberals have looked to the states as the source of health policy innovation. At the same time, many in the new Republican majority and several governors also support increased state control. In contrast, Michael S. Sparer convincingly argues that states by themselves can neither satisfy the liberal hope for universal coverage nor the conservative hope for cost containment. He also points to two critical drawbacks to a state-dominated health care system: the variation in coverage among states and the intergovernmental tension that would inevitably accompany such a change.Supporting his arguments, Sparer analyzes the contradictions in operations and policies between the New York and California Medicaid programs. For instance, why does New York spend an average of $7,286 on its Medicaid beneficiaries and California an average of $2,801? The answer, the author suggests, is rooted in bureaucratic politics. California officials enjoy significant bureaucratic autonomy, while the system in New York is fragmented, decentralized, and interest-group dominated. The book supports this conclusion by exploring nursing home and home care policy, hospital care policy, and managed care policy in the two states. 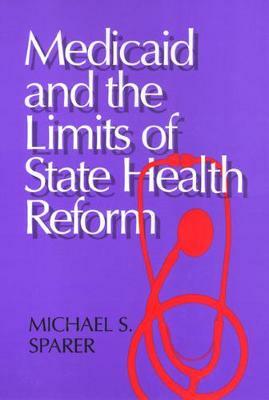 Sparer's dissection of the consequences of state-based reform make a persuasive case for national health insurance. "Michael Sparer offers a much needed balance to the one-sided, state-oriented 'devolution-revolution' approach to public policy....[The book] is well organized and tightly written."